Living on the Fearn peninsula in Ross-shire in the Scottish Highlands, my home overlooks the Cromarty Firth and Nigg Bay. 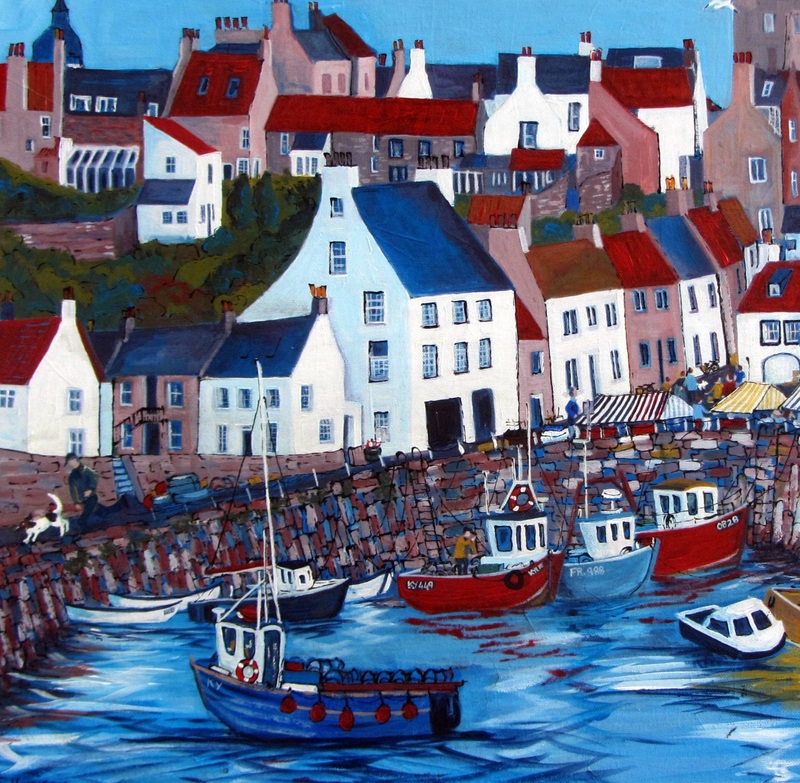 Since moving here from the Borders, I ve been fascinated by the everchanging sea-scapes and the way that Nature, Industry , Tourism and the busy lives of local people seem to co- exist quite happily. 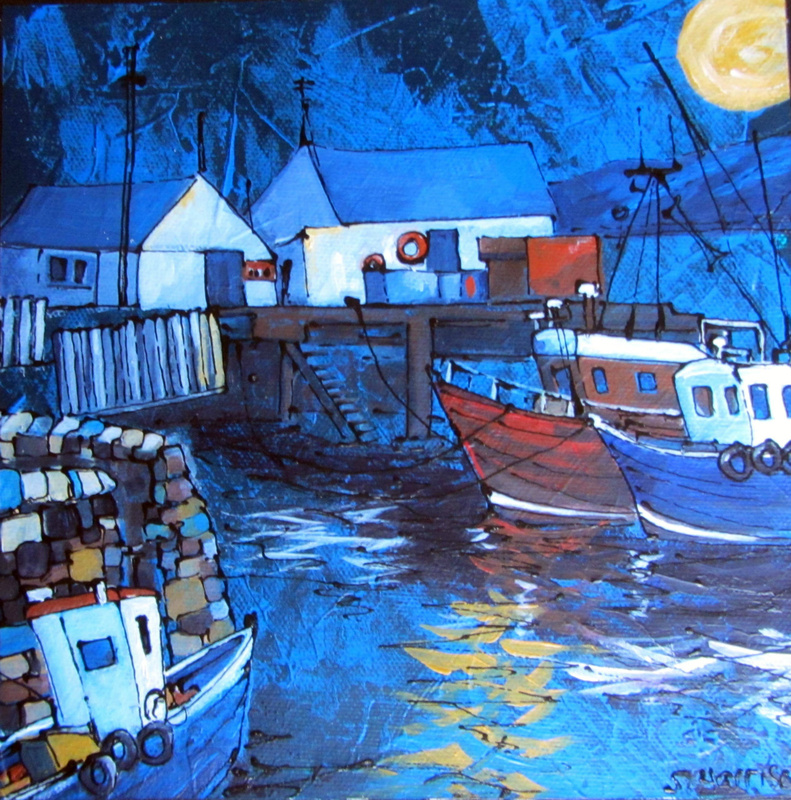 The unique little seaside towns of Cromarty on the Black Isle and Portmahomack features in many of my paintings. 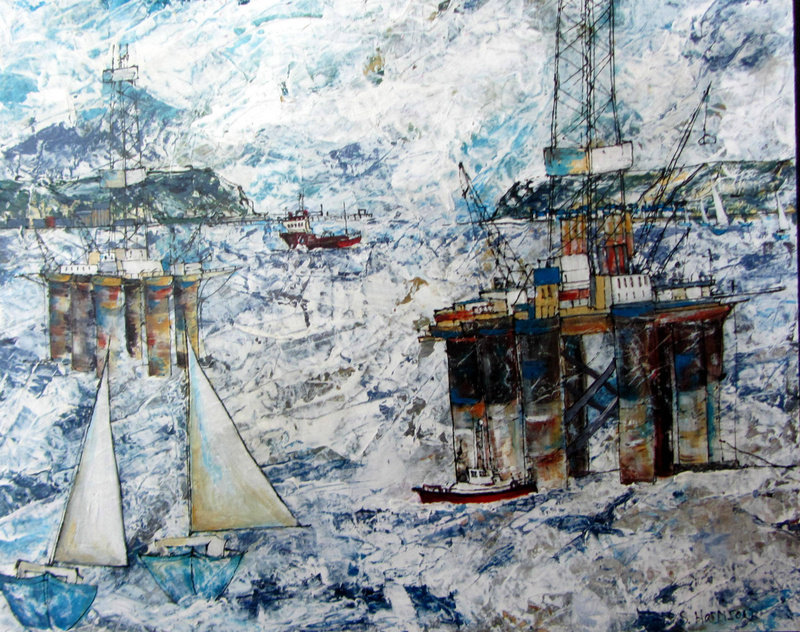 My paintings depict the busy sea-scapes, filled with fishing boats,yachts, tugs and tankers and the oil-rigs which can sit in the Firth for months before being towed back out to the oil fields. The local Bottlenose Dolphins swim and feed happily in amongst it all. I paint mainly using Acrylics on stretched canvas. 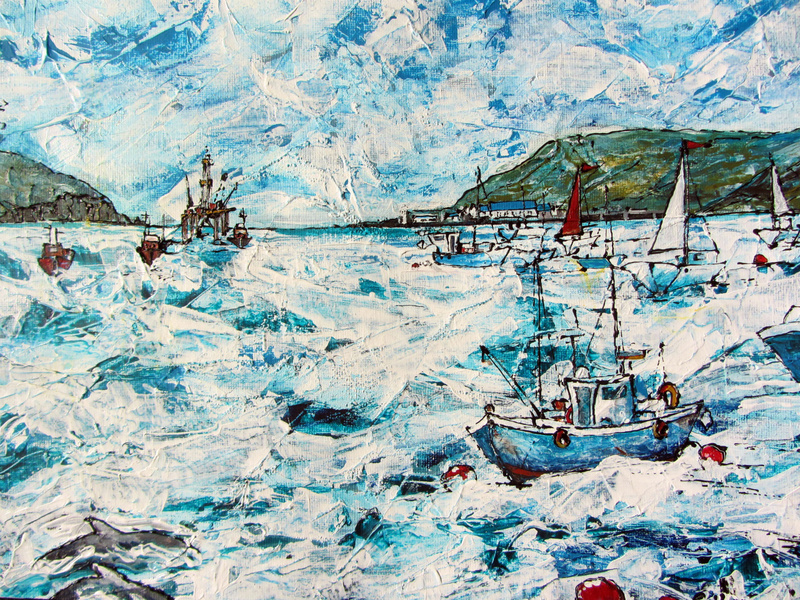 The paint is applied in layers using palette knife and brushes, resulting in a painting which is full of texture and colour. 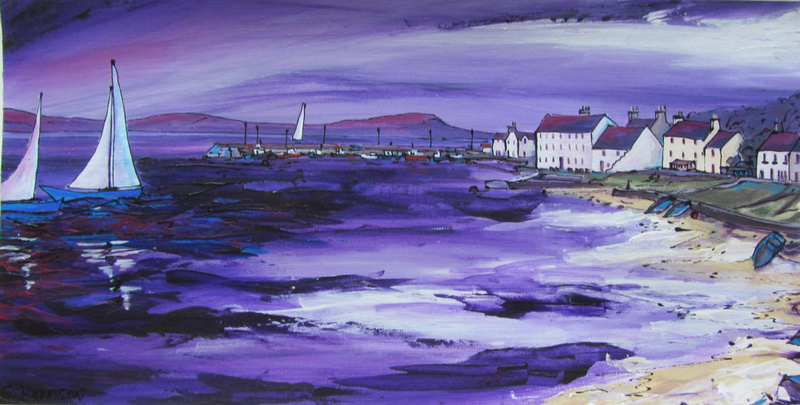 I usually leave a black edge around the canvas which frames the painting and brings out the colour. 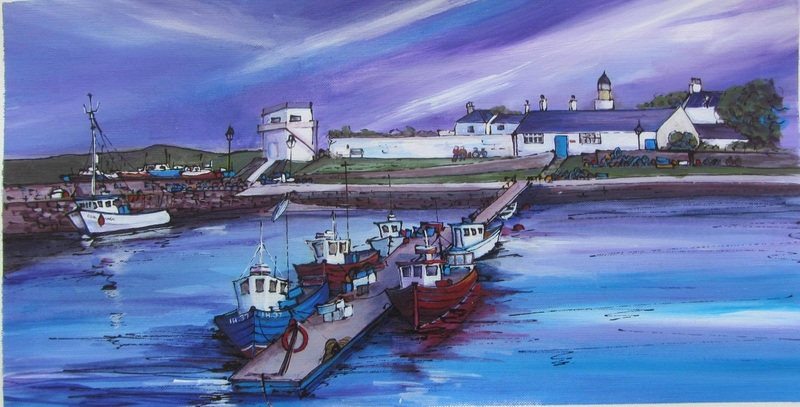 As well as original paintings, I also have limited edition giclee prints for sale and a range of greetings cards. 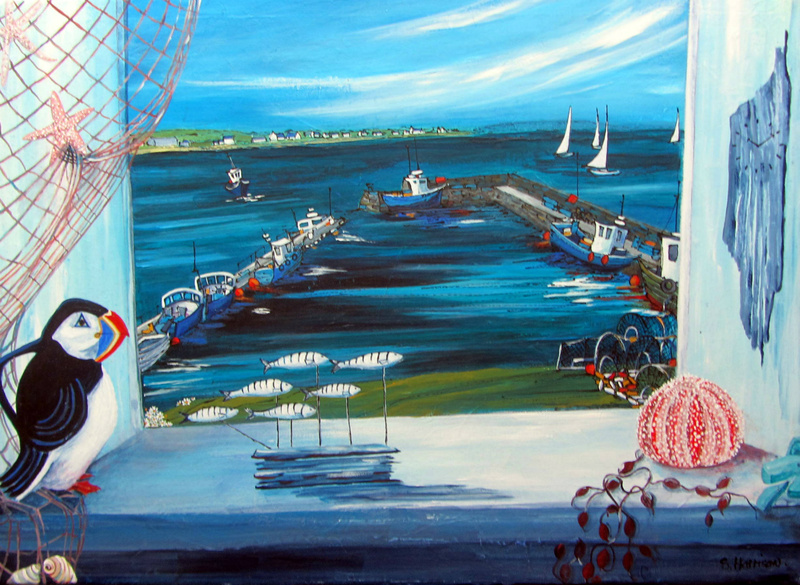 All images copyright of Sheenagh Harrison.